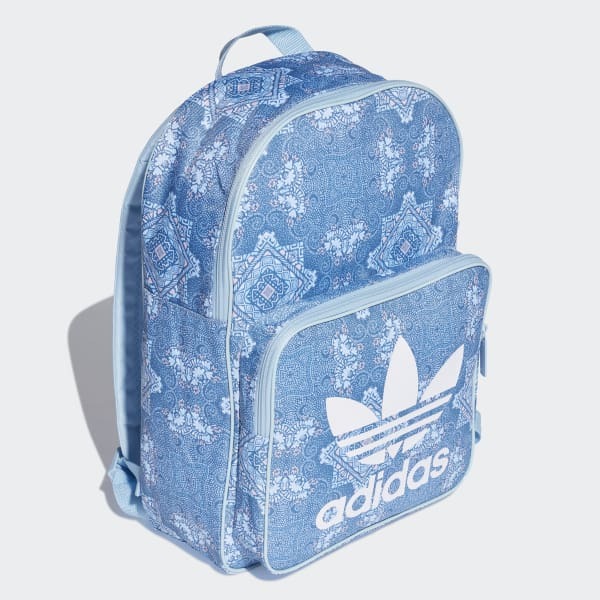 A tapestry-inspired print gives this kids' backpack an updated look. A pretty tapestry print elevates this classic backpack with a soft, stylish vibe. The bag includes an inner laptop sleeve, and an extra front pocket for smaller items. 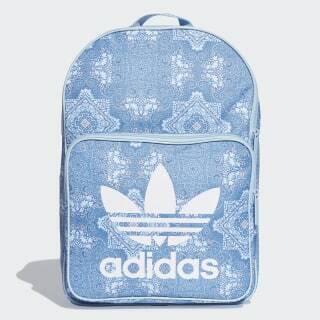 A large printed Trefoil and solid-coloured trim, zips and straps complete the look.